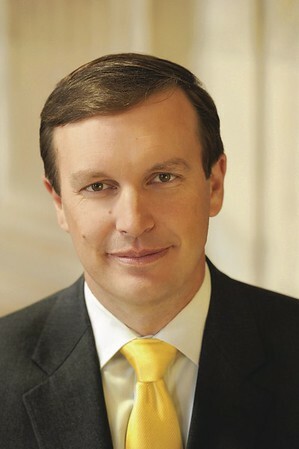 WOODBRIDGE - P2 Science, Inc. was recently selected as U.S. Sen. Chris Murphy’s Innovator of the Month. P2 Science opened its first commercial and manufacturing plant in Connecticut in 2018. The company has a manufacturing facility in Naugatuck and a lab in Woodbridge. The new plant is based on P2 patented technology. The company has also developed chemical process technologies for converting renewable feed stocks into specialty chemicals including fragrance, flavor and cosmetics ingredients in addition to renewable monomers. P2 Science is co-founded by Professor Paul Anastas, head of the Center for Green Chemistry and Green Engineering at Yale University, where the company spun out of. The company was also founded by Dr. Patrick Foley, who was Anastas’ PhD student. Neil Burns is the company’s chief executive officer. The first products produced by P2 at its Connecticut manufacturing plant include vegetable-derived versions of petrochemical fragrance ingredients. P2 Science was originally founded in 2009. In 2011, the company moved into its first green chemistry lab in Science Park, New Haven. P2 Science has partnered with Desmet Ballestra SpA, a world-renowned engineering company known for its work in vegetable oil handling and upgrading systems. P2 Science serves as an employer to 15 people and expects that number to double when their Naugatuck plant is at full capacity. Part of the mission of the company is to design and develop sustainable chemistry. The major market areas of the company are flavors and fragrances, cosmetics and personal care, specialty materials and bioactives. To learn more about P2 Science, call 203-821-7457 or visit the company’s website www..
Posted in The Bristol Press, General Business, Manufacturing on Monday, 28 January 2019 19:29. Updated: Monday, 28 January 2019 19:31.